For probably the first time I had to debate whether or not I liked a Pixar movie or not. Sure, there was Cars 2 but I immediately decided afterwards that I hated it and felt it was by far the worst Pixar has done. 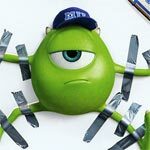 Now comes the prequel, Monsters University and while it’s not bad and contains some good laughs, it doesn’t quite measure up to the ingenuity of Monsters Inc. and instead heavily borrows from other college comedies, placing a monster spin to it. 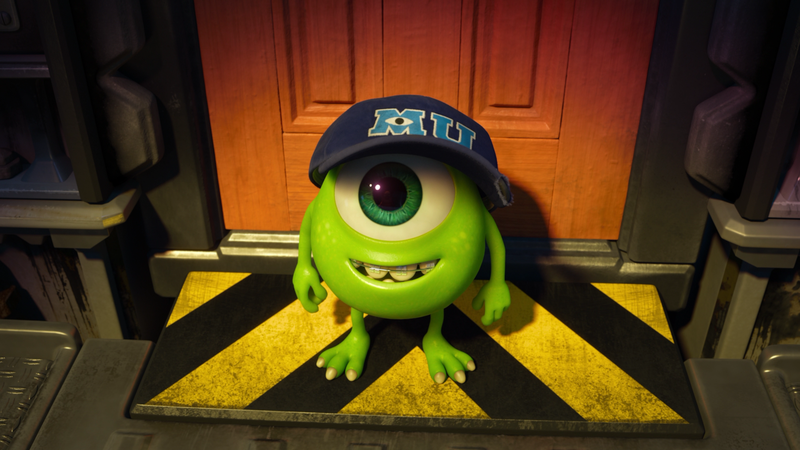 Since he was a boy, Mike Wazowski (BILLY CRYSTAL) has only wanted to attend Monsters University and enroll in their Scare Program. As he rolls in to start at MU, he meets his new roommate, nerdy chameleon Randall Boggs (STEVE BUSCEMI). 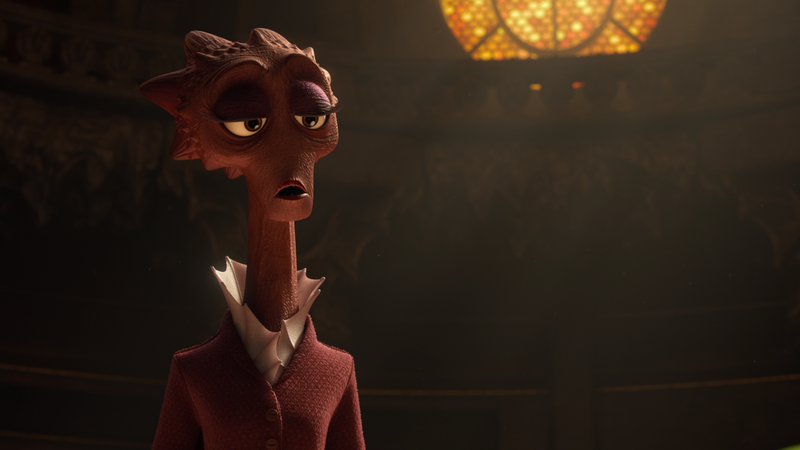 While Randy wants to live up the college life, Mike is focused on passing the program which, as explained by Dean Hardscrabble (HELEN MIRREN), contains a final exam that determines whether students can remain in the program. In class, Mike butts heads with James Sullivan (JOHN GOODMAN), a legacy student with rich family history in the program. 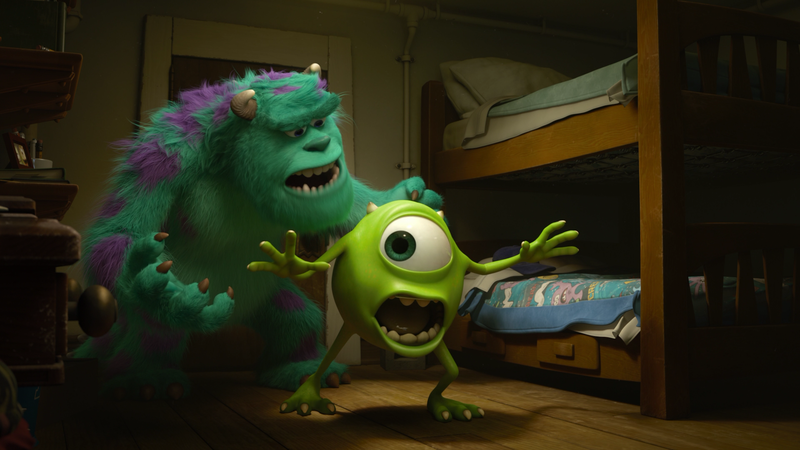 When Sullivan is accepted into the Roar Omega Roar fraternity, headed by Johnny Worthington (NATHAN FILLION), based on something Mike did and Sulley received credit for, their animosity only grows. And their competiveness comes to a head and Hardscrabble removes them both from the program leading to the Roar Omega Roar to kick Sulley out. His dream all but smashed, Mike is relegated to menial courses like scream-canister making but gets an idea: the Scare Games where frat and sorority houses compete in a variety of challenges. So, Mike makes a deal with Hardscrabble that if he were to win, she will let him back into the program. 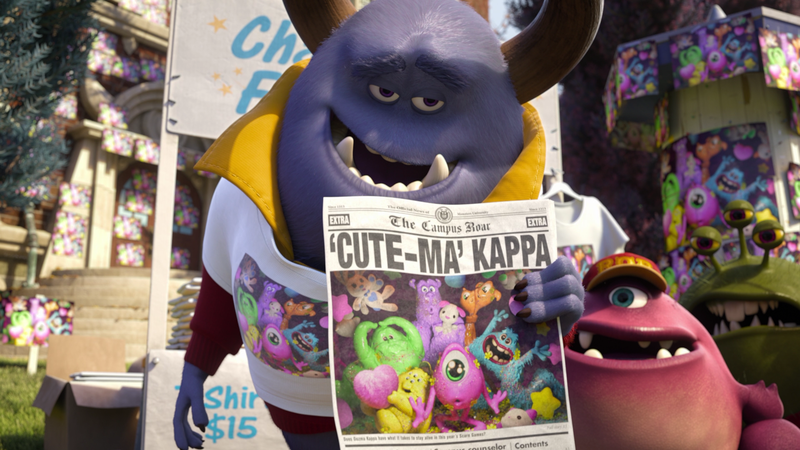 Problem is, he needs to be a part of a frat house and the only one left is the Oozma Kappa (OK) house comprised of an eclectic group with no discernible scare skills to speak of. Oh, and they need one more member to compete so a desperate Mike allows Sulley to join. The OK house is comprised of: old-timer Squishy (PETER SOHN), Don (JOEL MURRAY), the two-headed Terri (SEAN HAYES) and Terry (DAVE FOLEY) and Art (CHARLIE DAY). Oh, and the OK house is in fact in Don’s mother’s home. From here on, it’s your underdogs versus the rest of the field with each challenge being harder than the previous and, of course, albeit through forfeiture by another team, makes it through; though not without realizing Mike and Sulley need to set aside their differences if they are to win as a team with the others. 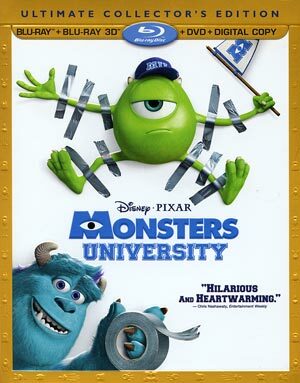 While Monsters University doesn’t quite have the magic of its predecessor Monsters Inc. or many other of Pixar’s flicks (Toy Story 1-3, Up, Wall-E and The Incredibles to name a few), but it’s still a lot of fun and once again it’s a film that both parents and kids can equally enjoy and is generational for those who remember college life. And story-wise, which admittedly was disappointing, is a prequel rather than furthering the story set up at the end of MI. Even so, and changing history to make Mike and Sulley meet in college rather than in the fourth grade, I did like the rivalry between the two and including a good Randall even if his character and change was awkward. 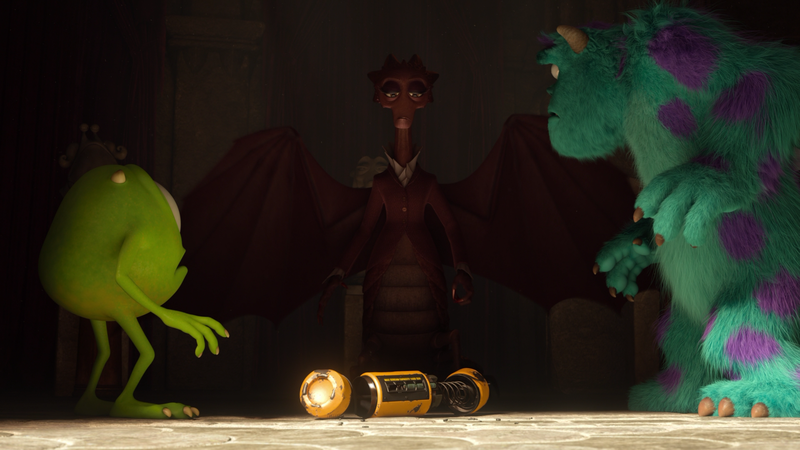 The voice casting once again is top notch (well, perhaps middle notch) bringing back Billy Crystal, John Goodman and Steve Buscemi are perfect reprising their roles and new additions Helen Mirren, Alfred Molina (albeit a small role) and Nathan Fillion as the primary adversary, is wonderful. Pixar is always able to compile some great voice talents even in the smallest roles like Molina, John Krasinski, Bonnie Hunt and Bill Hader. But for the good MU has going for it, I just felt it didn’t quite meet the potential this world had to offer. Unlike others who didn’t like it, I never found it dull, or lazy, just that despite taking 10+ years to make it to the big screen, it never had that thing which made others in Pixar’s repertoire stand out so much, well, outside of Cars 2 that is. Directed and co-scripted by Dan Scanlon, marking his feature debut apparently working up in Pixar which began with Cars, Monsters University might not be the strongest Disney/Pixar and there is plenty things for those in the “PID” (Pixar-in-Decline) camp to hang on to, I still found the film to be nice, wholesome fun that the entire family can enjoy. And being only 100-minutes, moves by at a brisk pace even if the plot is mostly predictable and it does cling to college clichés a bit too much. Nonetheless, it’s still a good film offering plenty of laughs. The 3-disc set is contained in an standard Blu-ray case with a glossy and embossed slip cover. Inside is the standard DVD Copy and a download code for the Digital Copy. Audio Commentary features Director Dan Scanlon, Producer Kori Rae, and Story Supervisor Kelsey Mann. Generally commentaries with animated features are quite jovial and this one is no exception though this trio does keep it fairly low key and to the point chatting about the origins of the story, creation of different characters and other little tidbits. The Blue Umbrella (6:46; HD) is a cute theatrical short that, I believe, accompanied Monsters University. Campus Life (15:14; HD) details the daily routine of the animators at Pixar as the animators and filmmakers work on Monsters University. It might not sound exciting but I found it quite fascinating, actually. Story School (8:38; HD) looks at the screenplay and story aspects of the film with comments by the writers, storyboard artists and others. Like “Campus Life”, this isn’t too bad of an insight into the process. Scare Games (4:30; HD) covers the creation of the games featured in the film and how it related to real life at the Pixar campus. Monthropology (5:47; HD) is about the number and variety of monsters for the background characters and the challenges it presented. 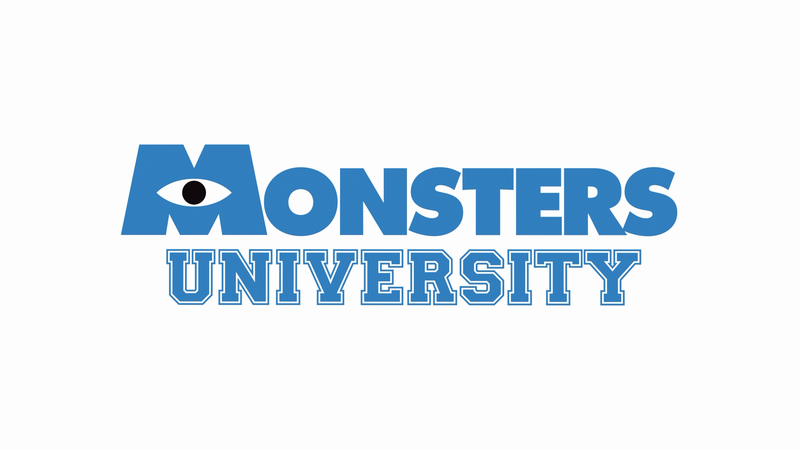 Welcome to MU (6:09; HD) covers the creation of the Monsters University and gathering ideas from real universities. Music Appreciation (7:29; HD) – With this featurette, we get insight at the scoring session by Randy Newman. Scare Tactics (5:16; HD) looks at the acting for those scare scenes and how those at Pixar act them out. Color and Light (5:16; HD) obviously is about visualizing the script early in the process with illustrations. Paths to Pixar: MU Edition (7:40; HD) – I believe is a staple on a Pixar release as we get to meet employees at Pixar and how they got to the animation studio. Furry Monsters: A Technical Retrospective (5:02; HD) is a featurette looking back how Monsters Inc. helped animation today and in particular, fur. Deleted Scenes (22:04; HD) is a compilation of story ideas that didn’t make it into the final product. Rounding out the features are Promo Picks which contains Monsters Mash Up (4:01; HD), College Campaign (2:32; HD) and Theatrical Campaign (7:08; HD) all serving to promote the film, Set Flythroughs (6:25; HD) and an Art Gallery. The 3D (as well as 2D) video is, in short, amazing showing off incredible depth of field and brightness which only animation can offer. This 1080p HD transfer (MVC codec for 3D, MPEG-AVC for 2D) is one of the best 3D transfers I’ve seen come to home video in quite some time. The amount of ghosting, which can be a problem with some releases, is at a minimum and aliasing is also gone. What’s especially impressive is when you have the type of animation with lot of fury monsters; they pop off the screen so well. As I said, this is easily reference quality and one of the best presentations from Disney/Pixar whether it is 2D or 3D. The disc receives an astounding Dolby TrueHD 7.1 track which is, to say the least, immersive. The dialogue levels are of course nice and clear but this lossless track kicks into high gear with the college-themed music/score as well as the more action-oriented scenes such as the chase and escape from Monsters, Inc. It’s no surprise that once again Disney/Pixar produces astounding audio for their animated features. Overall, Monsters University might be one of the weaker outings from Disney/Pixar since Cars, yet there’s enough here to make it an enjoyable experience for the entire family. The return of Billy Crystal and John Goodman is great, the animation is still absolutely amazing and the story is good even if it heavily borrows from other college films, although I suppose one could argue it was paying homage to those movies. The video/audio transfers are simple remarkable and reference quality while the features are respectable though thin in terms of content.